Day 1: On arrival you will be met by our representatives and comfortably lodged in your hotel. 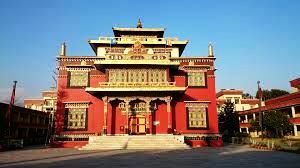 A visit of the 3 most sacred stupas in a single day is considered very holy by Tibetan Buddhist and the trio is revered as Bel-yul Chorten-Nam-sum. We shall visit above places and perform prayers and offerings. Visit Asuri Cave where Guru Padmasambawa meditated before journeying into Tibet, temple of goddess Tara and Mahabuddha Temple(temple of 9000 Buddhas, replica of Mahabodhi Temple in Bodhgaya. Fly to Varanasi. You will be met on arrival and transferred to your hotel. Afternoon visit Sarnath, where The Buddha preached his first sermon after becoming The Enlightened One. Early morning boat ride on River Ganges. 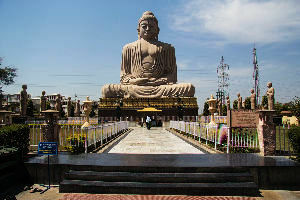 After breakfast depart by road to Bodhgaya, a journey of about six to seven hours (240 kms). 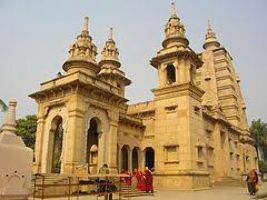 Visit the Mahabodhi Temple Complex which houses the sacred Mahabodhi Temple, the Bodhi tree and other sacred sites; Buddhist monasteries of different countries, sacred sites within the vicinity of Bodhgaya such as Lo-druk-kawa-che (where Buddha underwent 6 years rigorous penance) etc. After breakfast depart by road to Rajgir, a journey of about two hours (80 kms). Later continue to Patna (105 kms). 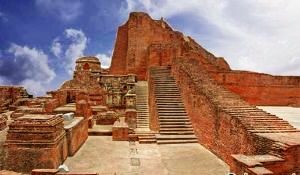 En route visit ancient ruins of Nalanda university. 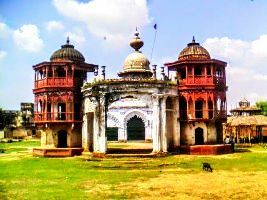 After breakfast depart by road to Kushinagar, a journey of about seven hours (260 kms). En route stop at Vaishali. 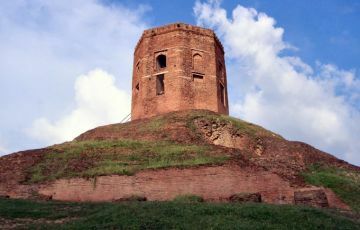 After breakfast depart by road to Saravasti, a journey of about six to seven hours (250 kms). After breakfast depart by road to Lumbini, a journey of about five to six hours (200 kms). 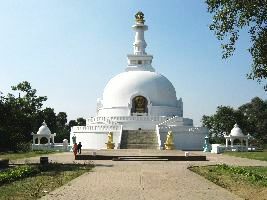 Afternoon sightseeing tour of sacred Lumbini Garden including visit to Ashokan Pillar, Maya Devi Temple, Puskarni- the sacred pool, sanctum and Buddhist temple. Free till departure transfer to Bhairawa airport. Upon arrival meet and transfer to hotel.